I should be in bed by now but I am so well organised I still need to do 135467 things before tomorrow morning, so here I am, with my not so unusual late night post. 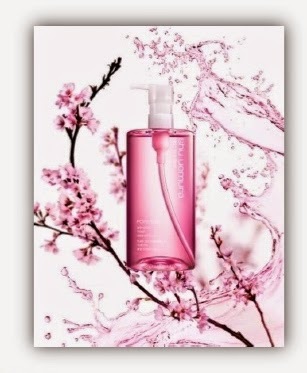 Save this date on the calendar people, because I am gonna talk about a deal you can't really miss: 1st May 2014 it's the Shu Uemura Cleansing Oil Amnesty. I am sure we all know, love and adore the uber-famous Shu's cleansing oils, these are products so iconic that doesn't really need introductions. Well, now you can finally have your chance to try it: to celebrate the launch of a new cleansing oil, Shu Uemura will exchange any full-half full or empty bottle of cleanser (that can be any brand's, it doesn't have to be a Shu's one) with a 50ml size of oil completely free, yep, I said FREE! You will be given a skin consultation to decide which is the right formula for you (there are six different ones to choose from) and a mini facial. Not bad at all isn't it? 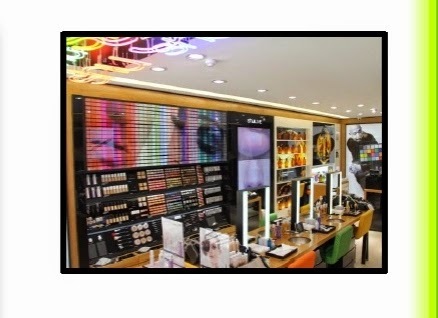 The promotion is valid at every Shu Uemura's counter (if you are in Manchester, I can totally recommend the Trafford Centre counter and the advices of Michelle). Hope you'll find this post useful, I will be there 100% to get my oil! 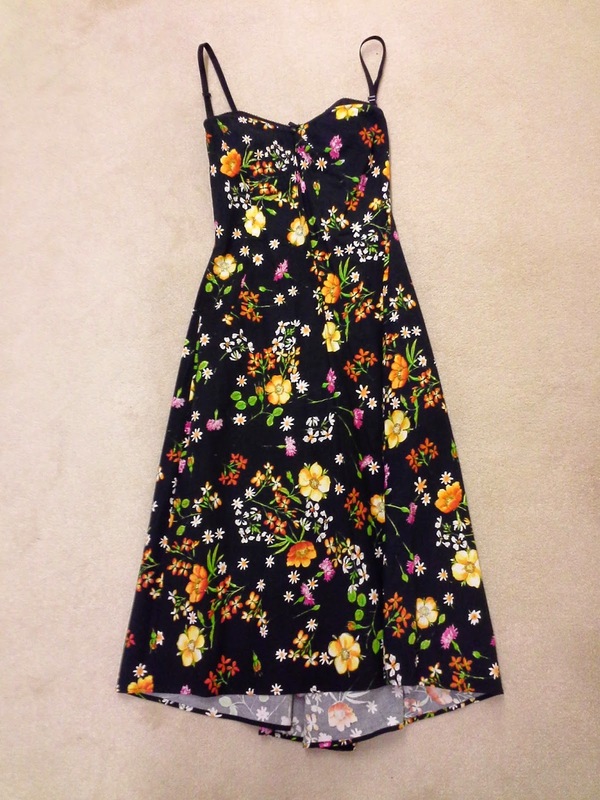 today's blog post is my entry for a very intriguing competition promoted by fashion online retailer Rare London: I couldn't really resist to the temptation to talk about the clothes I love more! Going through my wardrobe to find my "cannot live without" items has been quite a challenge; there are the clothes I like, the ones I LOVE, the ones that have got a sentimental value, the ones that you want to forget the price tag, the ones you use every other day, the comfy ones, the ones that make you feel like a princess and I could go on and on and on.. This is not a bag: this is my baby. I wear it in special occasions only, It's my ace in the hole for a very special outfit. This was the first designer bag I bough with my own money, full price tag. 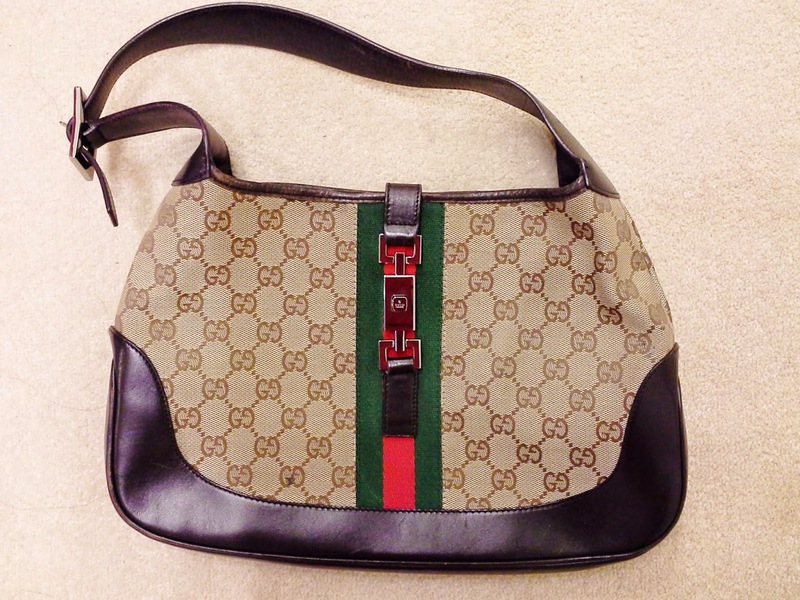 I had been in love with this particular model for ages and one day I just decided it has to be mine, so I jumped on a train to Florence and I went to the Gucci store to buy it and I remember going around the city with that big Gucci shopping bag with heart shaped eyes. I cannot live without this dress because is my strongest motivation to loose weight. It's a size 10 and I remember wearing it at summertime: if I have done it once I can do it again. Let's start the cardio, c'mon! Girl wears crazy heels thinking "oh I'll be fine, they look comfy", girl convinces herself that stabbing sensation is not pain but just a twinge, girl sits in tears on the toilet asking herself how the hell is she gonna manage to walk out of the place, girl walks barefoot to the car park, pretending not to see people urinating on the same pavement she is now walking, girl swears she is not gonna do the same mistake again...just to wear higher heels the following week. These have been a life saver in few occasions and I have always them in my bag if I am wearing heels. 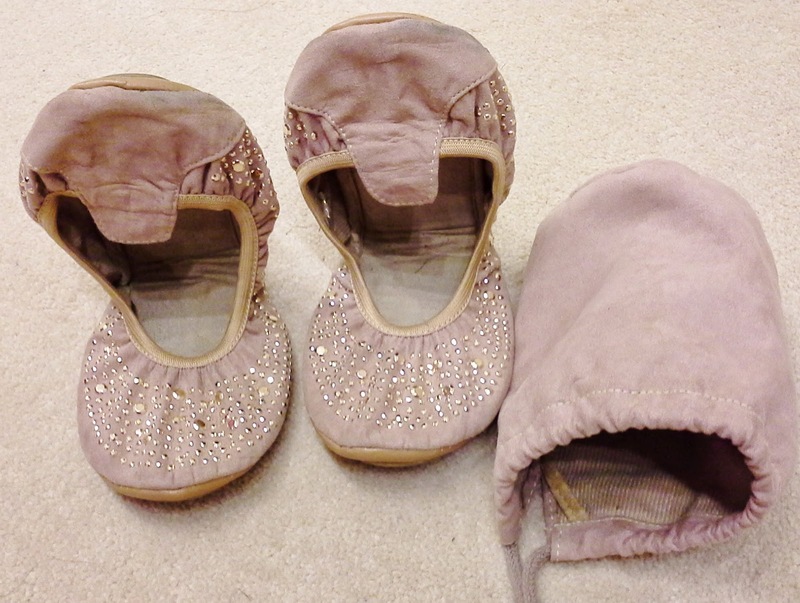 This are a must for my wardrobe for one simple reason: they are so me! 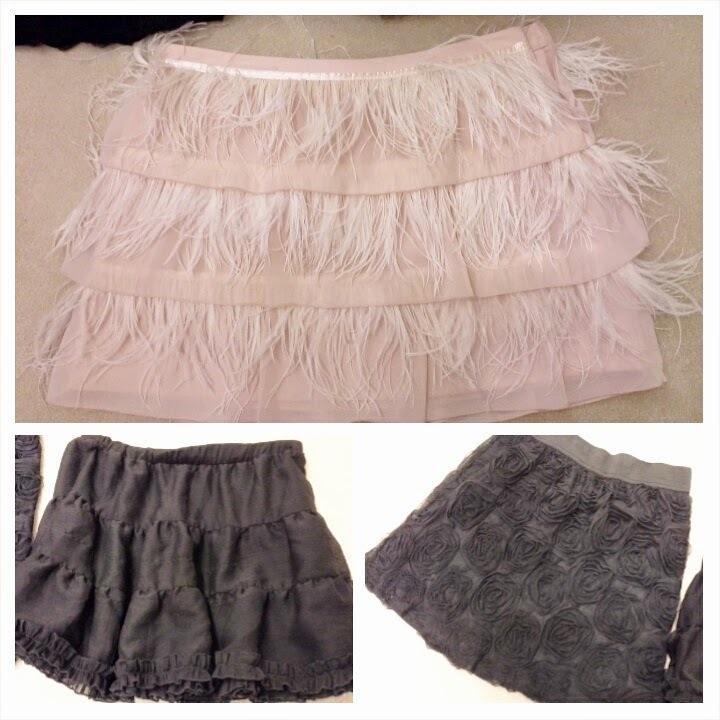 The pink, the feathers, the lace, these are totally my style. I have to force myself not to wear one of those three every time I go out! 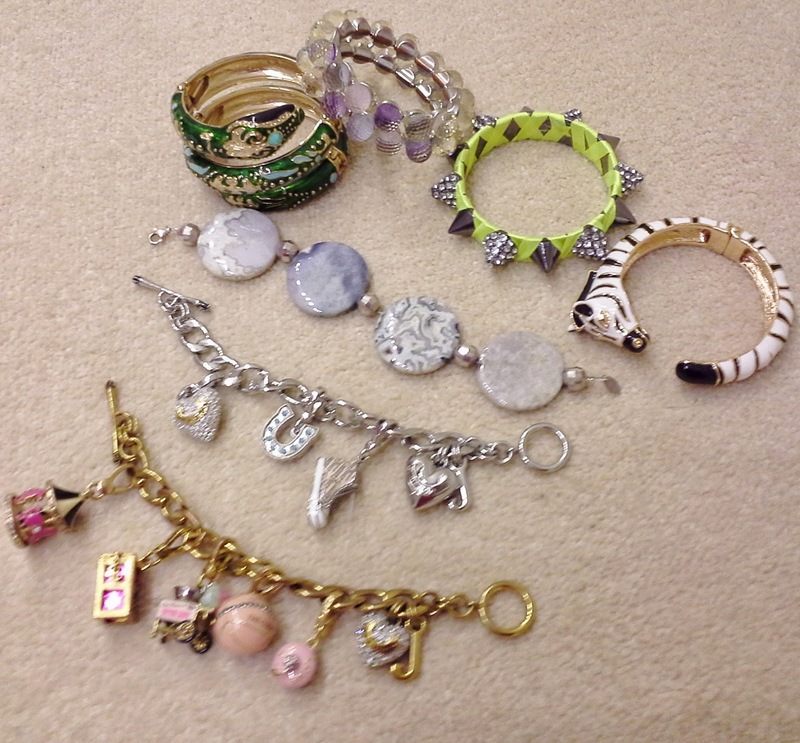 This is a passe partout of my wardrobe. I cannot fashionably live without such a smart, easy, versatile and useful piece. This particular one is from the Kardashian Collection for Dorothy Perkins and has been worn several times since I got it last year. I wear this with jeans and flat, with trousers and heels, with skirts and boots, it's a staple I will always be happy to use. God bless Tk Maxx and the bargains it brings to us. 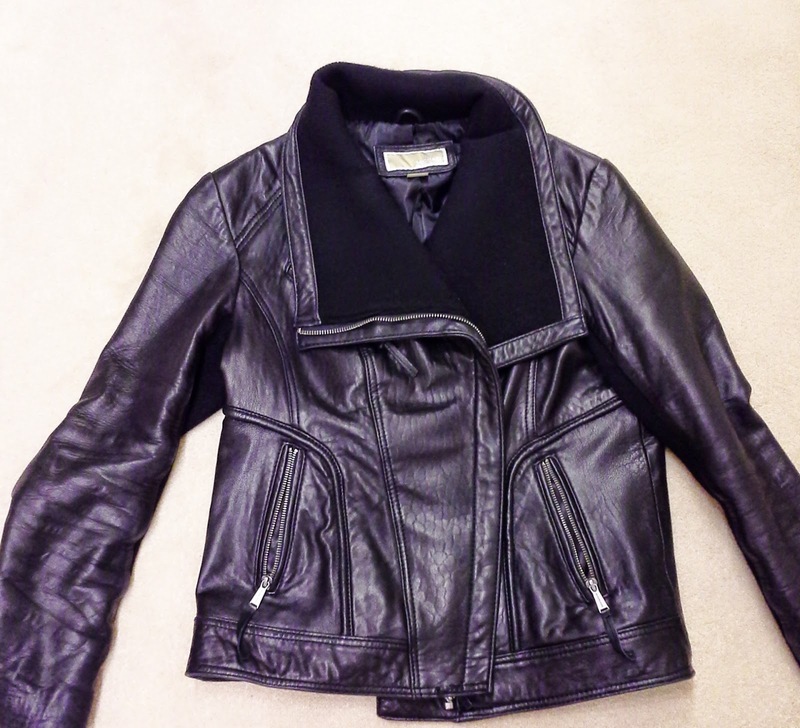 I got this jacket for a fraction of the retail price, the leather is so soft, the big neck is so stylish and I have been matching this with everything, smart, casual, elegant, bring it on! Did you get the point or should I go on? I would be curious to see what my friends Irena, Michelle, Joanna and Lily think about this and what are their chosen ones! 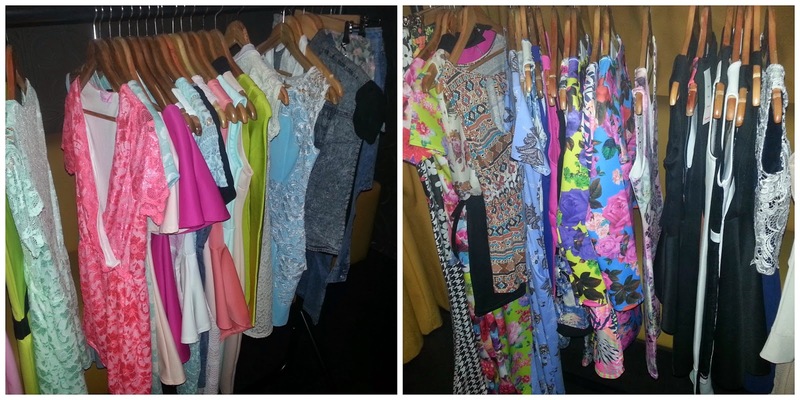 Have you got a dress, a t shirt or a pair of shoes you cannot live without? You can participate to this competition, here is the link, remember the last day to submit your entry is the 30th of April. I hope you all had a fantastic Easter week end! I am still here in Italy and today, finally, after 3 days of rubbish weather, the sun came out and we had a fantastic bright and warm day. 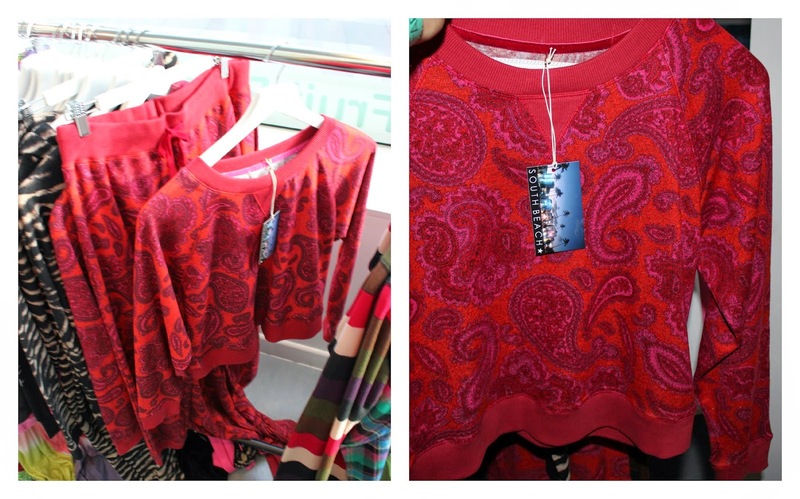 If you have been so lucky to be in Manchester this past week end and if you have been to Manchester Fashion Week 2014, you have certainly heard about Lily Lulu Fashion. First of all, a round of applause for this lovely online fashion company that decided to combine their press event with a charity night in support of Cancer Research. I really loved the idea and I hope to see this happening again in the future. The Lily Lulu Charity Event was held few weeks ago in the Barca club located in Castelfield, Manchester (bellissimo!). Around the room there was a good selection of the key pieces of the SS14 collection, divided into the big trends of then season: Monochrome, Florals and Pastels. 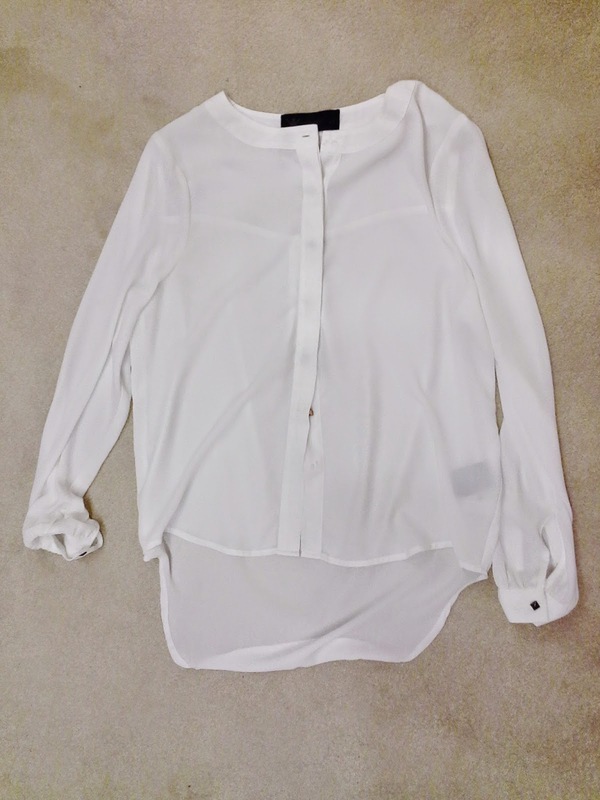 Few celebrities have been spotted around wearing Lily Lulu's pieces and if you follow them on twitter you will have a constant update of new arrivals and best sellers (warning: high risk of purchase addiction). Unfortunately I couldn't stay as long I wanted due to a Precious Baby cannot-stop-crying-I-want-my-mummy-not-this-stupid-childminder situation, but browsing the website I found some gems I want to share with you, like the Mai Blossom dress, the Natalie Baroque Gold Top and the Lottie Mint statement necklace. We were asked to choose some pieces, I cannot wait to receive everything and to show you what I picked. Contributors of the charity night were Lauren's Way, Net-a-Porter, Krispy Kreme, Clarins, Pearl Drops, Pipers Crisp, Bombs Away, Neal&Wolf and many others. P.S. One word to describe the cupcake shaped bath bomb: Love! Thank you so much to Lily Lulu for having me and well done for such an amazing event! So finally the time has come, Manchester Fashion Week is here! One of the brand you will have the chance to explore during this full-of-fashion week end is online retailer OMG Fashion. I attended the press event last month in Manchester, hosted at the Milton Club, a great place I can totally recommend for you nights out. 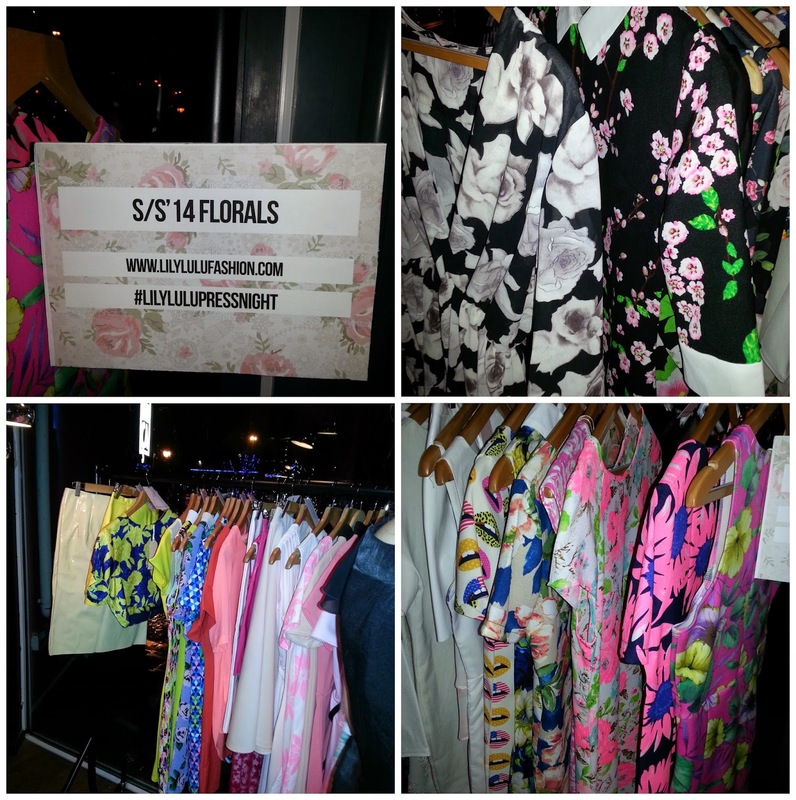 In between cocktails, music and good chats with other bloggers I had the chance to see a small selection of clothes from the SS14 collection. 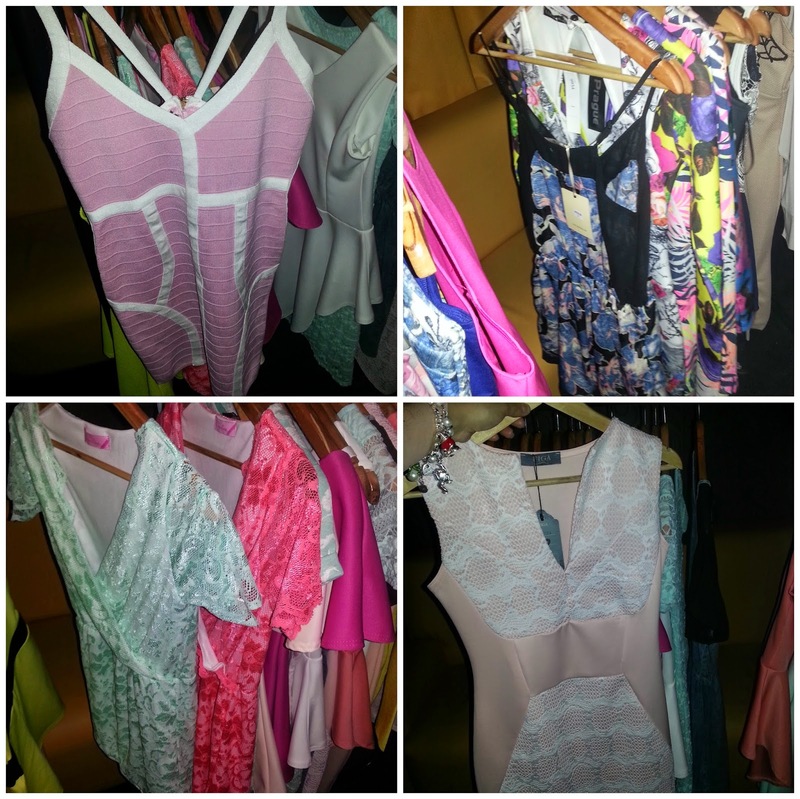 pastels, neon, prints you may want to buy for the spring summer. 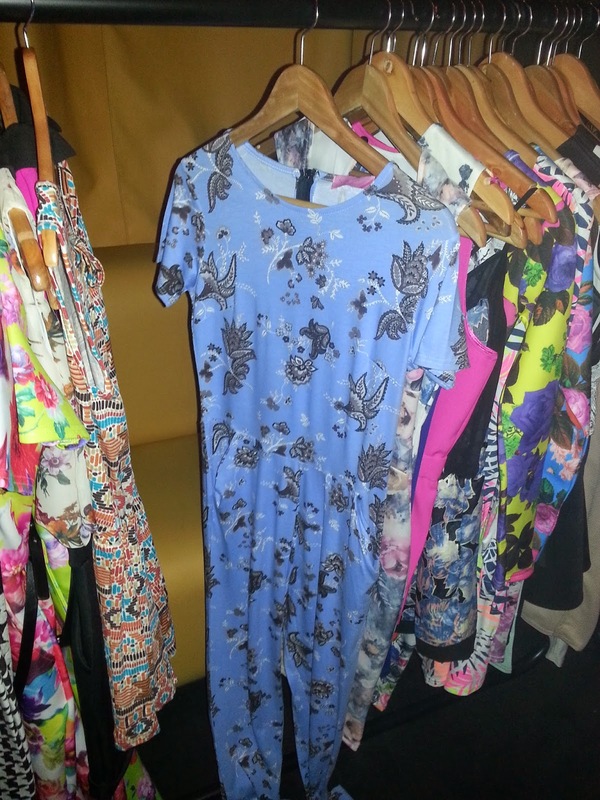 ....but my fave piece has to be the Suzie Blue Jumpsuit that comes with a very reasonable price tag of £30 and will probably be mine very soon. The first 30 people to arrive at the event got a generous £50 gift card to spend on the website: unfortunately I wasn't in between them, bloody high heels shoes! If you spend more than £40 (easy, very easy) UK shipping is free, worldwide shipping is available too and a 30% discount is offered to students. 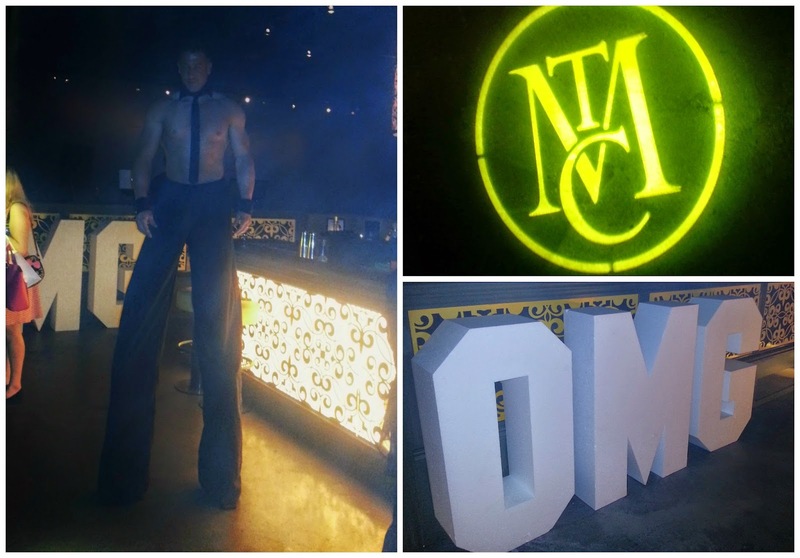 Here is the link to the OMG Fashion website and if you head to Manchester Fashion Week 2014 this week end, the collection will be presented this Saturday. Anything that caught your eyes? It's finally week end and I am uber excited because in few days I'll go back to Italy for my Easter Holiday, isn't it great? Hope the weather will be better than here, it's raining (seriously? In Manchester? Naaa..) and it's just bloody cold. Right let's talk beauty now. 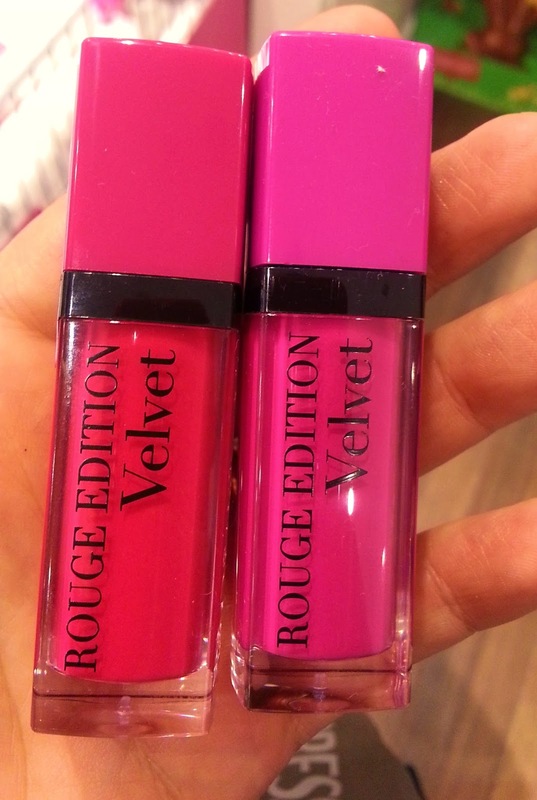 In the past month the blogosphere has been basically bombarded with pictures-swatches-review-bla bla bla of the new liquid lipsticks from Bourjois. I own a decent amount of liquid lipsticks, lacquers and similar stuff so I decided not to buy this new release...until today. What made me change my mind was a quick "let me just have a look at the colours" moment and after that I was hooked. 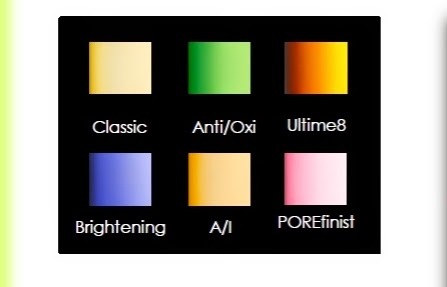 These are all the swatches of the six shades available. 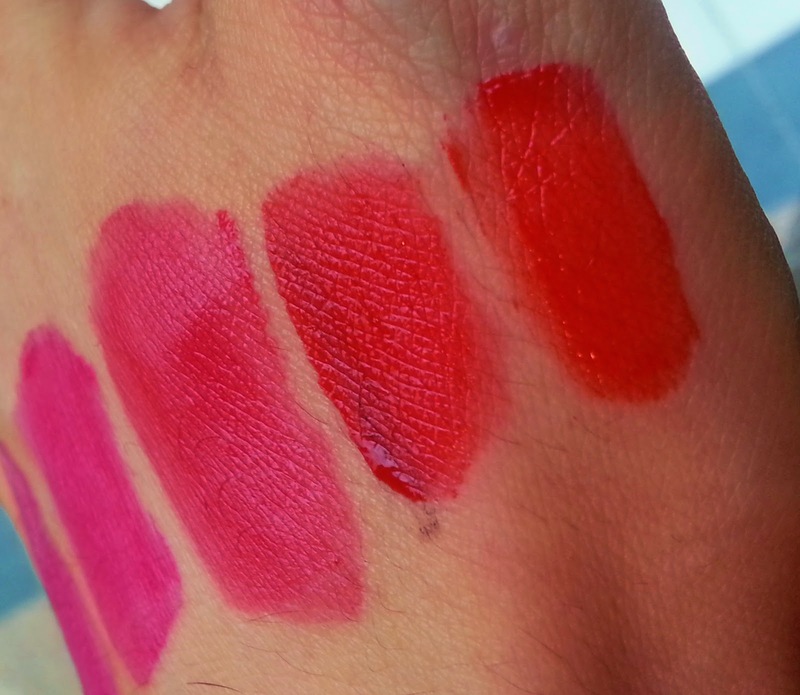 These are the brighter shades, there two reds but the pink ones are definitely the most intense ones. I didn't really experience any problem in the application as I was expecting reading few reviews, this lipstick applies smoothly and soft on the lips leaving a rich and thick cream. At the beginning it feels like a cream onto the lips but whithin few minutes it dries out completely matte without any dry annoying sensation, especially compared to others I have tried (for example the MUA one). They last forever. Seriously, an enormous amount of hours will go without it even fading a bit. I remove them with a cleansing balm (I use the ESPA one) and I apply a normal lip balm, just to avoid dry patches. 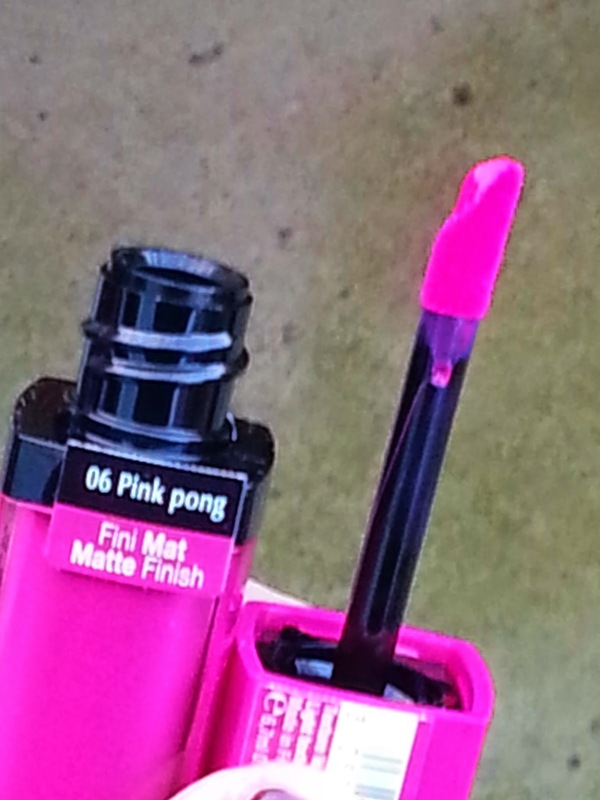 Number 06 Pink Pong is blue based pink, it looks a lot like MAC Show Orchid, very close to a purple-pink. Number 05 Ole Flamingo is a deep cherry pink. Now I only need a mild tan and some teeth whitening and I am ready for the summer. As a beauty addicted I am pretty conscious about any skincare trouble. A good complexion is undoubtedly the perfect canvas for every make up and despite the fact that there are some very good foundations out there, I always try to treat my skin as better as I can to avoid spots, brown marks etc. The first time I used an exfoliator was probably when I was 13 and my Mummy brought home some samples from her shop (yes, Mummy had a perfume and make up shop; I was born to be a beauty addicted, it's not casual you see). Since then, I never stopped using it. I have tried 234694034 exfoliating products, every formulation, small, medium, giant grains, gel, cream, pads, lotions EVERYTHING. I tent to exfoliate my skin twice a week, three if I have more spots than usual or after summer holidays to remove sun patches. At the moment, this is my routine, and I really want to share it with you because I love these three products and I would totally recommend them to every exfo-addicted like me. This face scrub came out last summer and I was not disappointed after buying it as soon as I saw it in Boots. Despite claiming to contain micro grains i would say we are more on the medium side, without this meaning it's too aggressive or scratchy. The key ingredients are 3% glycolic acid and salicylic and hyaluronic acids. Has got a very nice scent, very citrus-y and fresh. Does it work? Yes, it really does. Since day one I used it I could appreciate a very gentle exfoliation with a brithening effect on my complexion and a firmer skintone. It's priced £9.95 for 75 ml, actually on offer at £6.63 here. 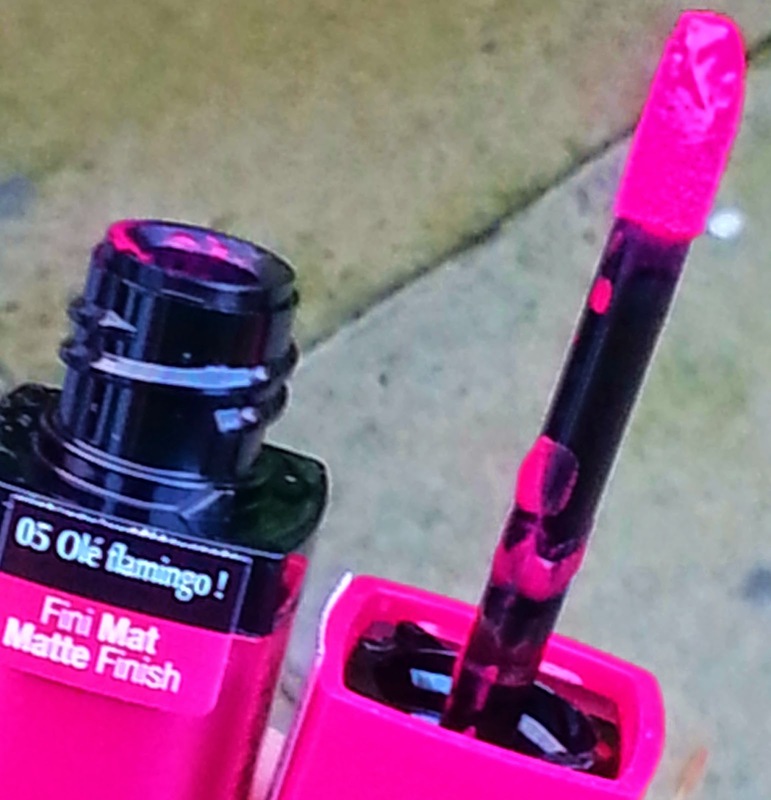 I was introduced to this toner last year at a Clarins blogger event in Manchester. Since then, it has been a constant presence on my skincare shelf. I use it at night and it really helps to renew complexion when I feel my skin dull and tired, keeping it fresh and spot free. It contains nettle extract to minimise pores and tamarin fruit acid to reduce impurities. I read once on twitter a rumour Clarins was gonna discontinue this, thanks God was not true, the idea made me shiver. It costs £25 for 125ml and you can find it here. This is a kind of holy grail product and I am sure you have seen/read about it quite often thanks to its popularity on the blogosphere. It contains LHA (lipo hydroxy acid), a derivate of salicylic acid that stimulates exfoliation and a gradual retexturisation of the skin, helping to reduce the horrible appearance of clogged pores. I use it a night but can be used for the day and as a make up base too. It retails for £13 for 30ml in Boots. Now, I will probably finish this trio very soon, and I would not be a true beauty addict if I wasn't already looking for alternatives to try, have you got any advice? On my wish list are the new La roche-Posay Redermic fluid and the Pixi glow tonic. Do you guys buy korean or japanes make up and skincare? 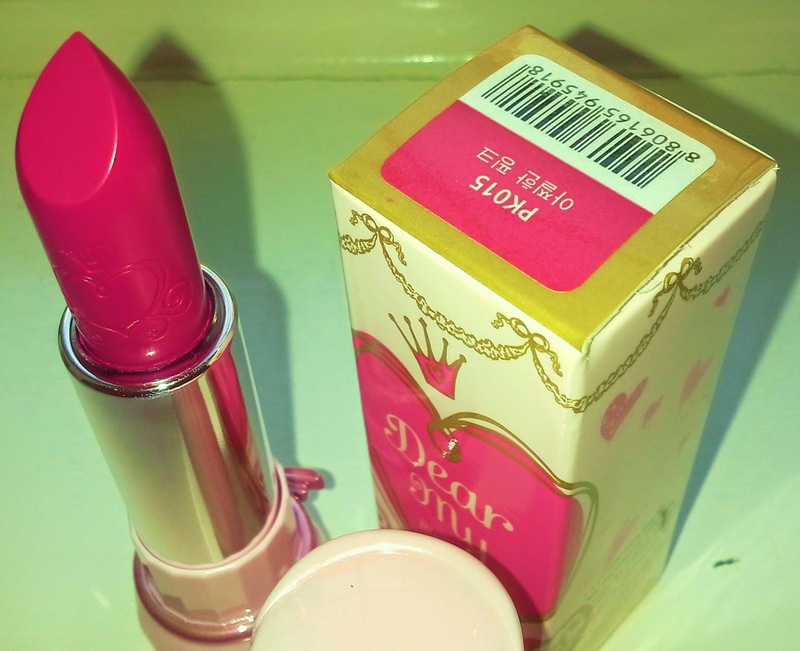 I am addicted and thanks to ebay, I am responsible for few big hauls of cosmetics. 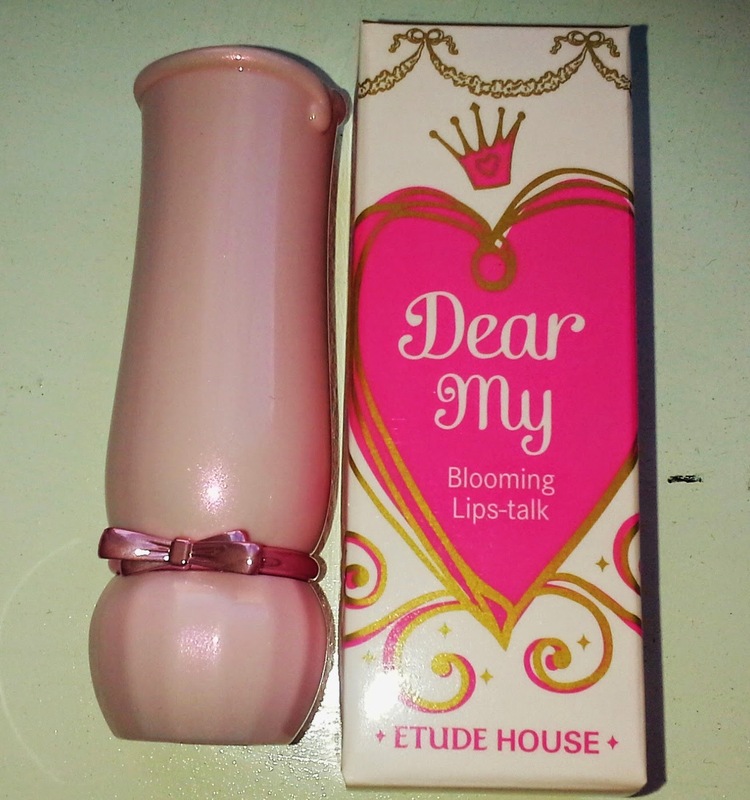 I was looking for a bright lipstick for spring summer and while browsing my usual online shops I stumbled in these lipsticks from a famous Korean brand called ETUDE HOUSE. The Dear My-blooming lip talks-pink talks collection consists in 5 lipsticks in the brightest pink shades. All the shades are matte and they are priced £6 each. I chose the shade PK015 (am I the only one that hates codes and numbers instead of names for make up products?) 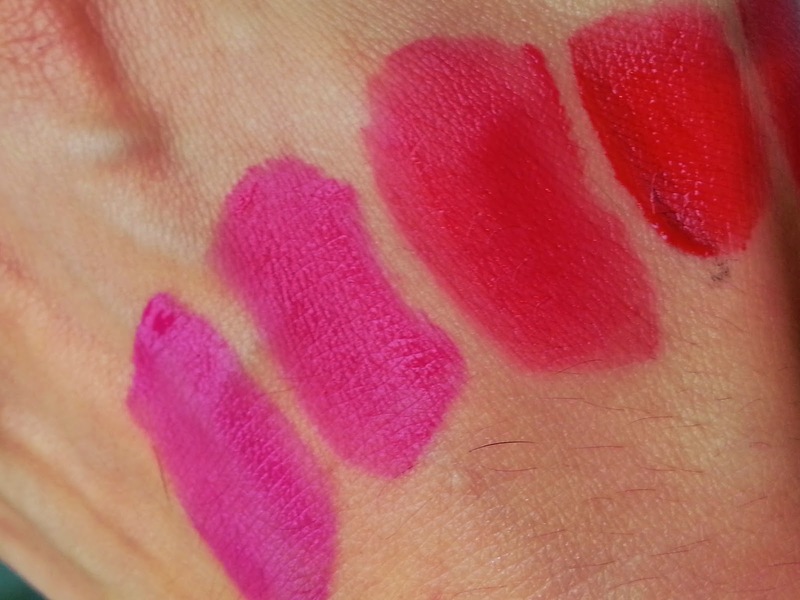 which is a deep raspberry pink with a blue undertone. It applies very smoothly and the colour pay off is incredible, one simple coat will achieve complete coverage. 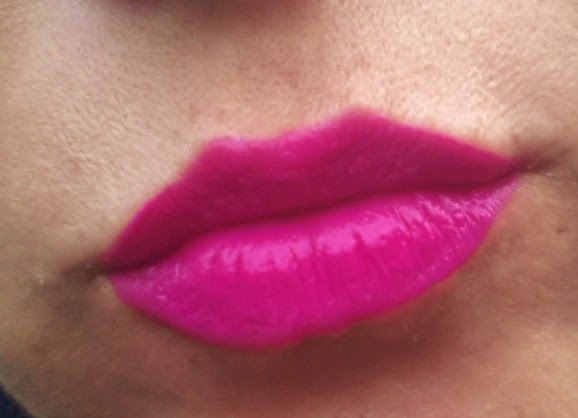 The shade is completely matt but doesn't dry out the lips as other mat lipsticks I have tried. It's quite difficult to remove, what I normally do it's apply a good thick layer of lip balm or hand cream, leave it for about 30 seconds and then wipe it off. 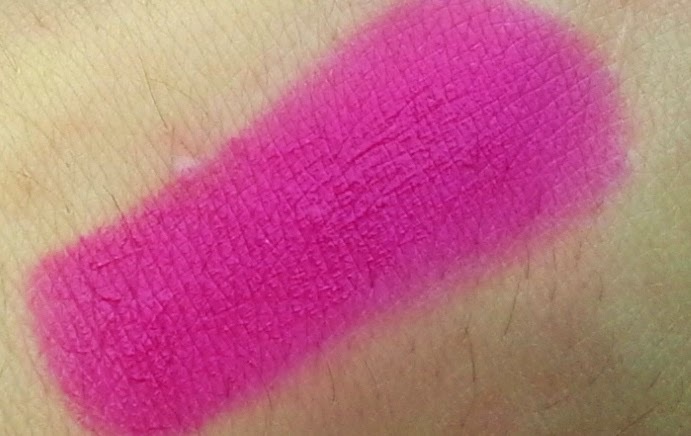 It's so so bright, I always pair it with a very simple eyes make up to not overdo my look. 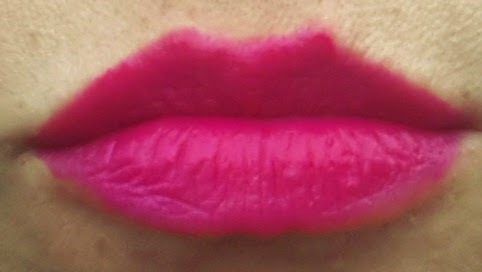 I have tried with a gloss on top and the result is even better, in terms of intensity of the colour and brilliance. If you are looking for a bright lipstick I would recommend to have a look to this range, I bet you will not be disappointed. I bought mine here and I totally recommend this seller. If you are planning to attend the Manchester Fashion Week on the Saturday 19th April I hope you will be lucky enough to have a seat for the Sofia Dourvari Fashion Show. You really don't wanna miss what this young, fresh and talented designer has to offer. I had the pleasure to meet Sofia one year ago here in Manchester after one of her Fashion Show. She is one of the nicest person I have ever met, chatty, friendly, down to earth, that kind of girl you would like to have as your best friend. Her collection is classy but contemporary at the same time, sassy and never boring without resulting too excessive or tacky. Her clothes are designed for every body shape and the materials go from leather to silk played with a very sartorial cut that gives an extremely sophisticated effect. This has to be one of my favourite dress I saw on the catwalk, it's posh, elaborated, original and flattering. Look at this leather dress from a previous collection, I was in love with the backless design here. These are some pictures taken from her last catwalk show, with the first one being my favourite. Together with her stunning personal collections, Sofia offers a bespoken service, where she designs the dress of your dream helping you choosing materials, design and everything needed to create in flesh what you have got in mind (Why I didn't met this woman before my wedding?). If you need more informations, her website is currently under renovation but you can contact her on twitter or here. Sofia will be present at MCRFW 2014 with a fashion show and a pop up store for the following two days where you will be able to shop the collection. this will be the first of a series of posts dedicated to some of the brands involved with the upcoming Manchester Fashion Week 2014. I had the pleasure to attend to an event organised from South Beach last year and I visited the stand again at the Fabb event held in Manchester. 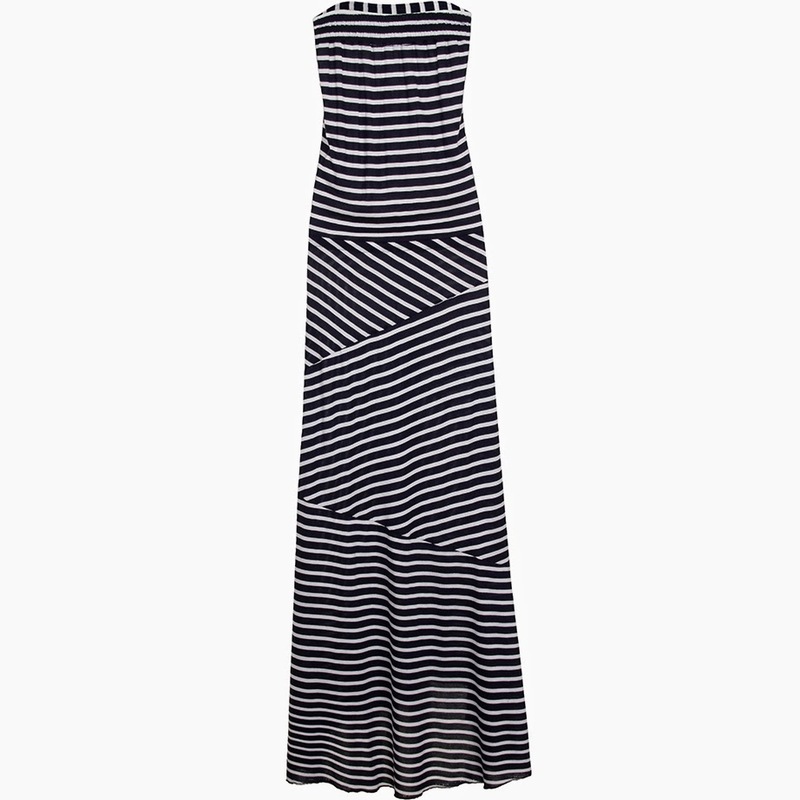 In both the occasions I had the chance to see and touch with hands a selection of swimwear, beachwear and loungewear this website offers. If you are so lucky that you are planning a holiday to the beach, well this is the place where I am sure you will find your bikini etc. 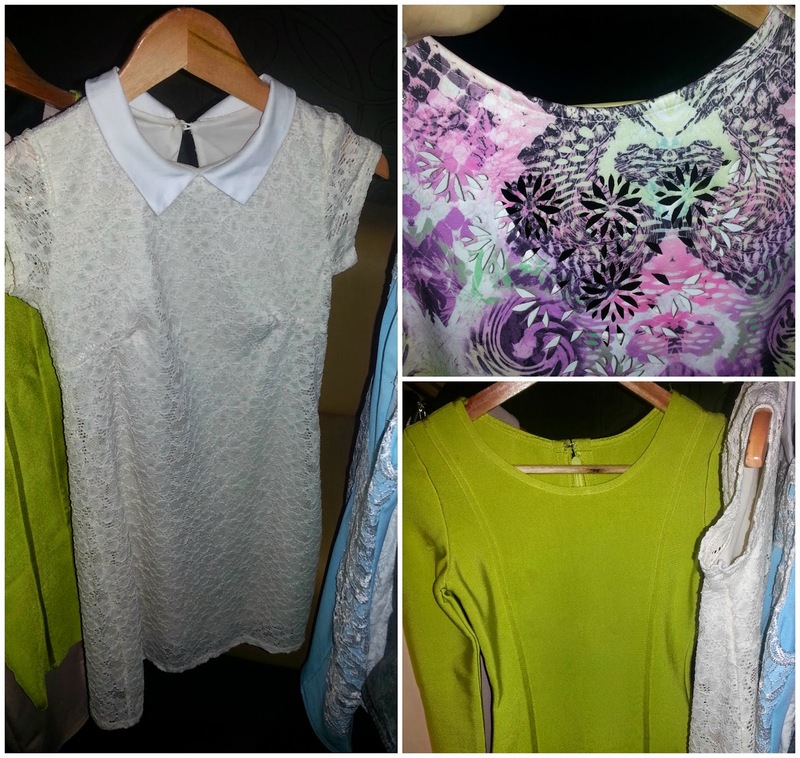 There are so many styles to choose from, from lace to neon colours, from nautical to floral and geo prints. This navy dress + statement necklace + 12345 bangles= very me. I was very impressed with the prices, absolutely affordable and purse friendly. Browsing the website I also found a "beauty and tanning" section, with stocks from Barry M and Lauren's Way. Last but not least, I think you should have a look to the loungewear. South Beach will have its fashion show on the Manchester fashion Week 2014 on Saturday 19th of April (find full schedule here) . Did you have a look to this website yet?